This week's stats about the book industry show that somehow book publishers have avoided the downfall that music publishers experienced when their customers went digital. Maybe it's because the digital era meant that people not only pirated music but also only bought specific tracks instead of whole albums, whereas with books you generally have to buy the full thing. Although there was huge growth in e-reading ( up 149%), physical book sales only went down by 1%, and certain genres within that, such as children's books, actually grew. I can see why publishers felt threatened by e-reading, but I didn't understand why this was ever an issue for readers. 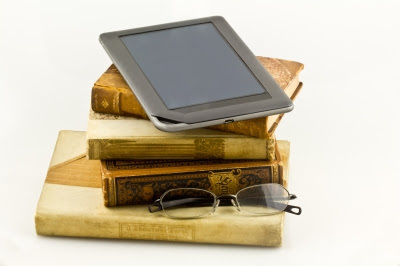 I have a slight preference towards e-books mainly because they're more environmentally friendly, but essentially I'm in it for the content regardless of the medium. Sometimes I buy paper books because I don't want to see bookstores completely disappear from the streets. This was a nice read, thank you & hapPpPpPpy reading (& writing as well :D).